in the past week I went online shopping at both H&M and Forever21. Which means that this is a huge shopping haul article! Keep on reading to see what I bought. The loose fit pants in Bordeaux red are from H&M and I got them for €10. The mustered yellow mock-turtleneck jersey dress is from H&M and I got it for €9.99. 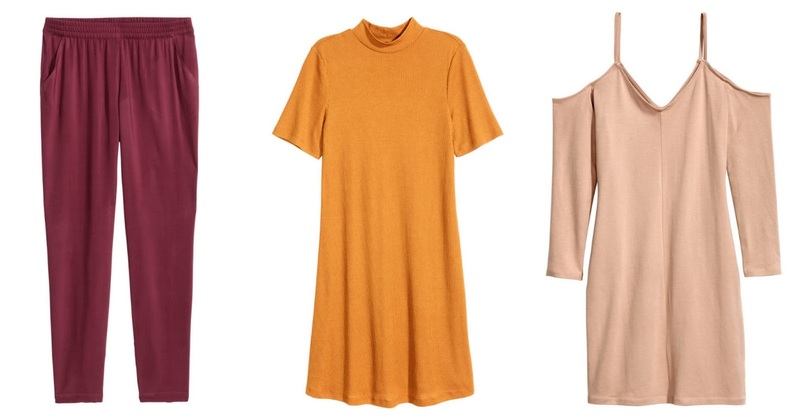 The beige open-shoulder dress is also from H&M and I got it for €9.99 as well. 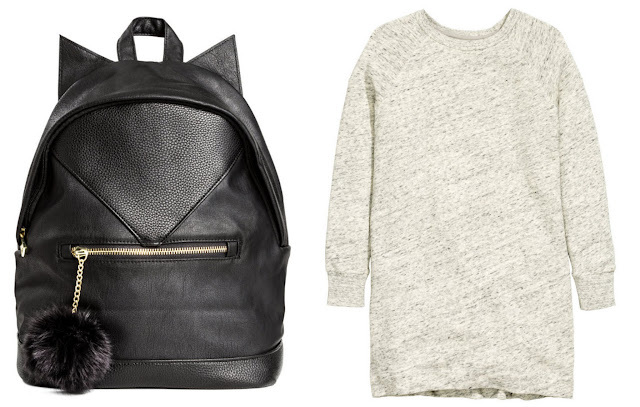 The faux leather backpack with cat ear details is from H&M and I got for €29.99. The sweatshirt dress in light gray melange is from H&M and I got it for €10. The mauve mock-neck A-line dress is from Forever21 and I got for €10.27. 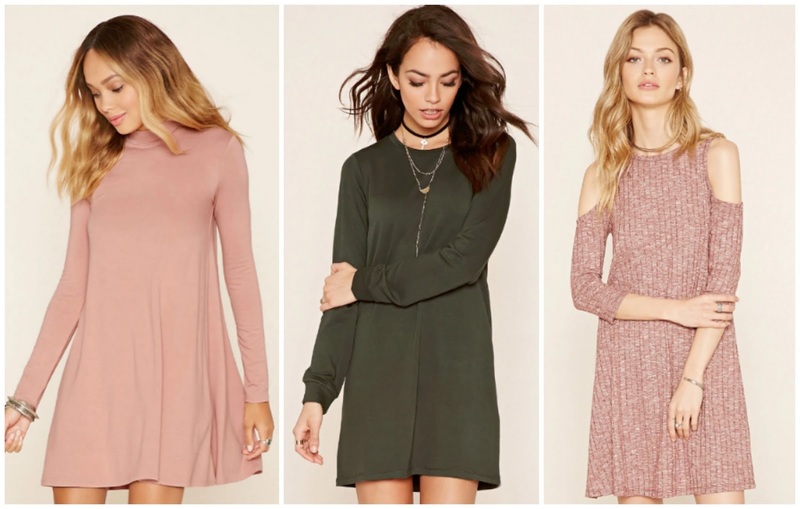 The Heathered shift dress in olive green is from Forever21 and I got it for €10.40. The Bordeaux ivory contemporary jumper dress is from Forever21 and I got it for €12.80. The burnished faux nose ring set is from Forever21 and I got it for €3.20. The black bow necktie is from Forever21 and I got it for €3.16. 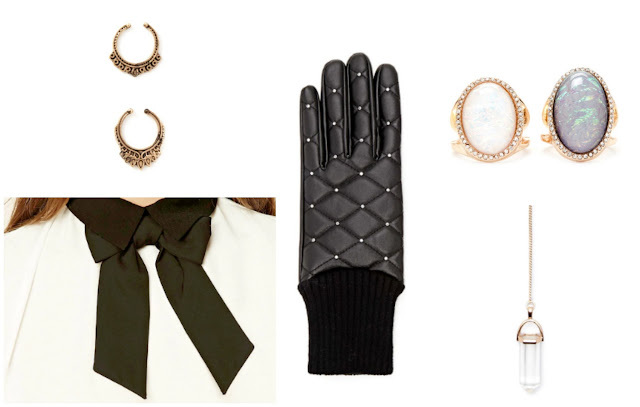 The quilted faux leather gloves are from Forever21 and I got them for €8.80. The faux stone cocktail ring set is from Forever21 and I got it for €6.40. The faux crystal pendant necklace is also from Forever21 and I got it for €4.80.